Early electric cars were small and light, and electric aircraft are following suit for the same reason- having less mass to push around means a vehicle can get farther on a limited amount of energy. However, you shouldn't expect a 250-passenger electric jet any time soon, but an all-electric two-seater eco-friendly electric plane from a Slovenian company will carry you and your friend on a shorter flight. 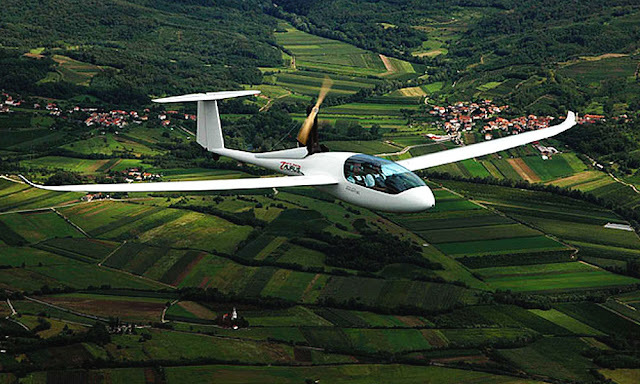 The advantages of electric flight include lower carbon dioxide emissions, quieter aircraft, and machinery with less punishing vibration. Greenhouse gas emission is still an issue for coal and natural-gas power plants that supply the electricity, of course, but the supply of solar and wind energy is gradually increasing and even fossil-fuel burning plants can be more efficient than combustion in a small engine. A Slovenian company is selling the world’s first mass-produced electric two-seater eco-friendly aeroplane ‘Pipistrel Taurus Electro’. It has a battery life of six hours and can reach speeds of 220km per hour! It’s seen as a breath of fresh air in a sector responsible for 13 percent of carbon dioxide emissions from all transport sources. Launched in 2007, around 20 orders are now put in every year for the two-seater plane, which is produced in a factory in the town of Ajdovscina, close to the Italian border. The €110,000 ($120,770) price tag is offset by the plane’s inexpensive maintenance: at 70 cents an hour, the Taurus is 10 times cheaper to run than traditional twin-seater planes, according to Pipistrel. You charge the battery, hop inside the cockpit and hit the “on” button to activate the fuselage’s propeller. The large-winged aircraft can thrust itself to an altitude of 2,000 meters (6,500 feet), after which the engine is retracted and the Taurus glides across the sky as a sailplane. The large aircraft companies remain cautious, saying there’s still a long way to go before the technology can be used for heavy passenger planes. “I don’t think we’ll see an entirely electric plane for another 50 years,” said Philippe Petitcolin whose Safran company supplies engines to Airbus planes. Nevertheless, “in 20 or 30 years, we may be able to fly regional commuter jets with around 60 people onboard thanks to hybrid electric propulsion”, according to Airbus Group boss Tom Enders. The corporate giant currently explores this vein with its E-Fan, a twin-seater plane powered by two 30-kilowatt electric motors. 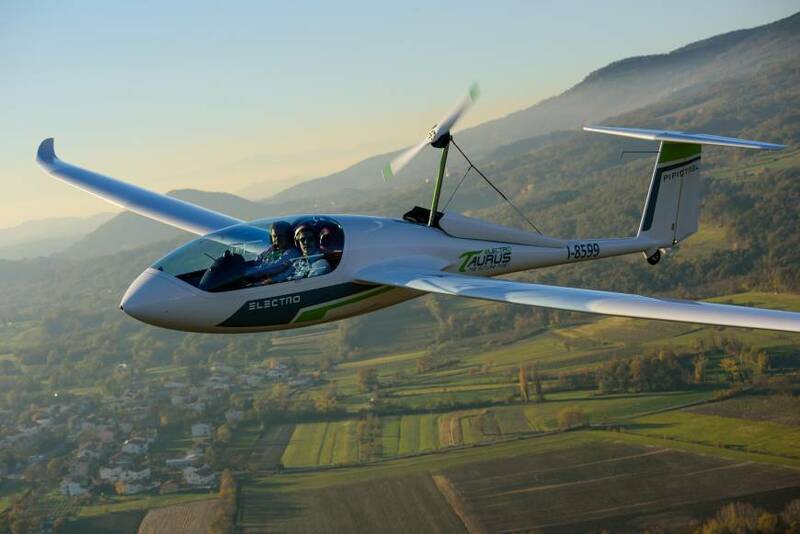 The ultra-light aircraft aims to offer aero clubs an alternative to traditional planes, both noisier and more polluting. But, there’s still a lot of room for improvement: the E-Fan currently only has a one-hour flight range. Last summer it however managed to cross the English Channel, 106 years after Frenchman Louis Bleriot became the first person to make the journey in a heavier-than-air plane. The E-Fan’s exploit shows what can be possible with “a future aviation based on more electric technologies”, according to Airbus. “You have just two buttons, up and down and full power, but you can always switch off immediately when you need to slow down the aircraft,” explained pilot Nejc Faganelj, soaring high above the Slovenian countryside on a sunny winter’s day. But behind the deceptively easy usage lies a highly complex design. The most crucial element — and biggest challenge — is the lithium battery, which needs to be light yet sturdy so that it doesn’t catch fire if it overheats. Now Pipistrel has even loftier ambitions: to sell the world’s first electric four-seater plane. Its Taurus G4 prototype — built by combining two twin-seaters — won NASA’s prestigious Green Flight award in 2011, worth $1.35 million. The plane covered 650 km (400 miles) in the space of two hours with an average speed of 172 kph, as reported by Japan Times.